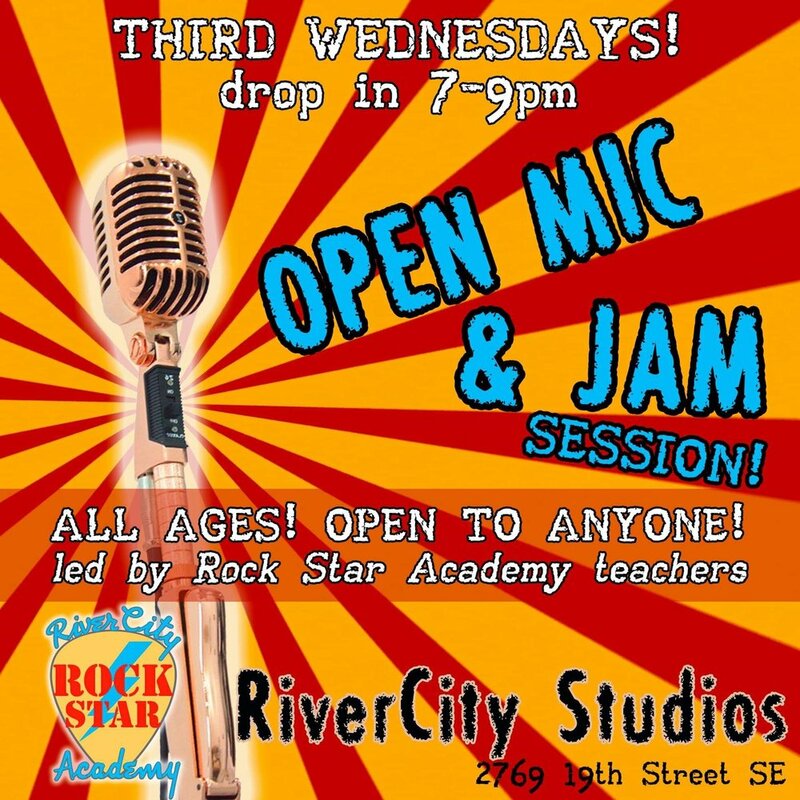 Come out to our monthly all ages Open Mic & Jam Session at RiverCity studios! Drop in anytime or stay the entire time Jam with your friends and RiverCity teachers and students. Open to all | Free | All ages | All skill levels! Wednesday, March 13th starting at 7:00 pm. Come out to our monthly all ages Open Mic & Jam Session at RiverCity studios! Drop in anytime or stay the entire time Jam with your friends and RiverCity teachers and students. Open to all | Free | All ages | All skill levels! Wednesday, February 20th starting at 7:00 pm.